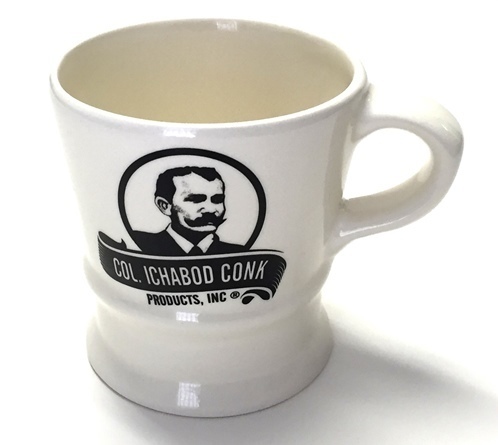 A traditional off white shave mug with the original Colonel Conk logo (black lettering, a golden outer ring, and a dark green background). This classic style has been around for 100 plus years. Nothing fancy, doesn't take up much room in the bathroom, yet has plenty of room to work up a man size lather. Col. Conk 2.25 oz. shave soap included (scents will vary). Boxed.